Instagram is the photo sharing app with fun filters. We have all enjoyed using the iPhone (and Android) apps. In a few days, you might be able to take those popular retro filters out into the real world. 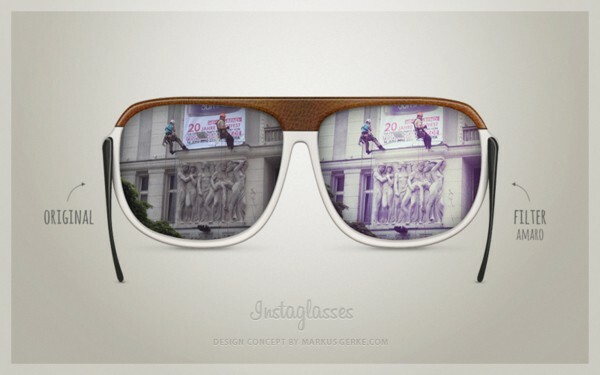 German designer, Markus Gerke has come up with the idea of Instagram filters built into a pair of sunglasses. Since the proposal, many people have started working on the project, and we are eagerly waiting for these Instagramic sunglasses known as Instaglasses. The beauty of Instagram, apart from the aspect of sharing photos, has really been the retro-style filters. It is a real pleasure to capture your favorite moments and apply an appropriate filter to add more meaning to the captured photo. For that, however, you need to have an iPhone or an Android mobile. Now imagine looking into the world through the filters of Instagram. And if you like a particular view, you could capture it with the click of a button, just like the mobile app. Instaglasses would let you do just that. The sunglasses powered with Instagram would apply Instagram filters to the viewin g glasses and let you see an Instagramic view of the world. There would also be an option available to change filters at the push of a button. 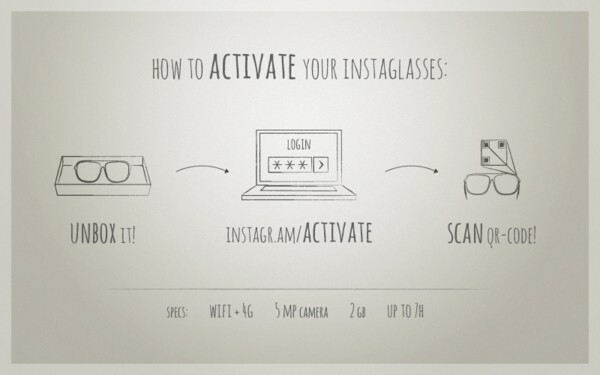 The next thing Instaglasses would let you do is capture a particular viewed frame and upload it to Instagram directly. This concept, though exciting enough at the sound of it, has many things to be worked out. The website dedicated to the concept sunglasses says it is going to launch soon, and we can assume some serious work going on to build the optimal Instaglasses.The most challenging feature is going to be embedding multiple filters into the glasses and the ability to activate any one filter at a time, though we do understand that we have seen vast advancements in technology over the years, and building such filter embedded glasses won’t be a problem. Instaglasses will also feature a 4G Wi-Fi connection, a 5 megapixel camera, 2GB internal memory and upto 7 hours of battery life. The product activation procedure as put up by Markus is quite simple. All you need to do is login to Instagram and scan the QR code with your Instaglasses. The product will be activated automatically. Here is a filter and how they would look like through Instaglasses. Instaglasses is certainly the kind of sunglasses we have been waiting for.